A lot has changed since Selena Gomez got her first big break at age 10 on the Disney Channel&apos;s &apos;Barney & Friends.&apos; She&apos;s gone on to release two number one pop albums, star in several feature films, and launch her own fragrance and clothing line. Now, at age 25, she is one of the world&apos;s biggest stars—as well as the most followed person on Instagram. Instagram is also where you can find Selena modelling her latest beauty looks, courtesy of her makeup artist Hung Vanngo. If you&apos;ve been paying attention, then you&apos;ve probably noticed this new vibe, which couldn&apos;t be more different to the "girl next door" image Selena cultivated as a teen. But there&apos;s also something else about these photos that has got people talking (and writing to me, suggesting her for this column!). It&apos;s the question of whether Selena, like so many other celebs, might have cosmetically altered her face. The only way to make an educated guess is to go back to her early days on the red carpet, and see how her look has evolved from past to present. Aw, Selena was only 14 here! (But you know what? She STILL has this cute baby face!) Her hair is cut in that late-&apos;00s choppy layered style that we&apos;ve also seen on Shailene Woodley—funny how it seems so dated now! Another au naturel look; by this time, Selena was 15. The only thing I think she "changed" at this point was her brow shape, to make them thinner. It wasn&apos;t apparent in the 2007 photos, but you can really see it here—I&apos;m talking about Selena&apos;s original nose! It seems even more prominent with her skinny brows, which were the trend at the time. Here&apos;s more glaring evidence—Selena was 16 by now—that she later underwent a rhinoplasty. Also notice her naturally thinner upper lip, and how her two front teeth are pushed forward. The wavy hairstyle is way too "mature," don&apos;t you think? Selena Gomez at the 2008 British Academy Children&apos;s Awards. And one more from 2008, where again, you can see Selena&apos;s distinctive nose, lips and teeth. Her brows are even skinnier than before. Selena Gomez at the 2009 Raise Hope for the Congo event. In 2009, Selena rocked a bob for the first time (that she recently returned to, in 2017). Is she adorable or what?! There are also a few fine highlights in her hair. In this shot, we get a clear look at her teeth, which she later lightened to a bright white. By age 17, Selena&apos;s styling was becoming more grown-up. She grew out the bob, darkened her hair to almost black, and traded the natural makeup for a bright red lip and black liner. Selena Gomez at the 2011 Kids&apos; Choice Awards. Remember when everyone had dry, messy, super-textured hair circa 2011? Selena was no exception, with this subtle take on Ombré highlights. As for her features, her upper lip does seem suspiciously fuller here. She was only 18 at this time! Selena Gomez at the 2012 Teen Choice Awards. By the time she turned 20, in this photo, Selena finally had her red carpet style down pat. Notice her subtle, expensive-looking highlights; sleek, face-framing cut; and the flawless makeup. Her brows were also starting to grow out. Selena Gomez at the 2013 Billboard Music Awards. This look is probably my least favourite, due to the mask-like foundation and iridescent pink lipstick. But speaking of lipstick... see how her upper lip is actually fuller at the outer edges? That&apos;s an effect you often see from lip fillers! I think there&apos;s also a chance she may have altered her nose by this point. Selena Gomez at the 2014 American Music Awards. The following year, Selena experimented with more sophisticated hair and makeup, like this updo with brushed-up brows (now fully grown out) and red lipstick. She appears to have a couple scabs on her lips, which may just be cold sores... or they could be blisters from lip fillers! The tip of her nose also appears more sculpted. Selena Gomez at the 2015 American Music Awards. One thing I&apos;ve noticed time and time again with celebs—they often step out with a dramatic new look to distract us from recent cosmetic procedures! Is that what is happening here with Selena? I think it might be, thanks to her jet-black hair, false lashes and coloured contacts. Not only is her nose more button-like, but her teeth are blindingly white. Selena Gomez at the 2016 Vanity Fair Oscar party. Next, Selena kept her long, straight layers but lightened up to this rich brown colour. She also continued with the heavy eye makeup. Looking at her nose front-on, her nostrils do seem narrower, with an angular tip. Selena Gomez at WE Day California in 2016. And here&apos;s another example, with a lighter touch on the makeup. Yes, there could be a little contouring going on, but I still don&apos;t think that accounts for Selena&apos;s new look. There&apos;s a newfound balance to her features that she didn&apos;t have in the 2008 and 2009 shots. Here, Selena was 24, and made a bold statement with pink eyeshadow and a long bob cut. Her brows made an amazing recovery and are super-full now. The same goes for her upper lip, even though she is smiling! That didn&apos;t happen when she had a similar expression in 2008—indicating fillers. Surprisingly, it doesn&apos;t seem like she has opted for any cosmetic dentistry for her two front teeth. Selena Gomez at the 2017 American Music Awards. Selena went blonde! This was the other red carpet look that recently generated major buzz. It works because she kept her roots and brows dark, and the rest of the styling is edgy yet fresh. As for her lips, they&apos;re looking bigger than ever. Even her Cupid&apos;s bow has disappeared, which happens when people over-inject! Selena Gomez at WE Day California in 2018. Selena Gomez in 2008 (left) and in 2018 (right). Selena Gomez in 2008 (left) and in 2017 (right). If you compare Selena&apos;s features a decade ago to now, it&apos;s obvious that her new look isn&apos;t just from her talented makeup artist. 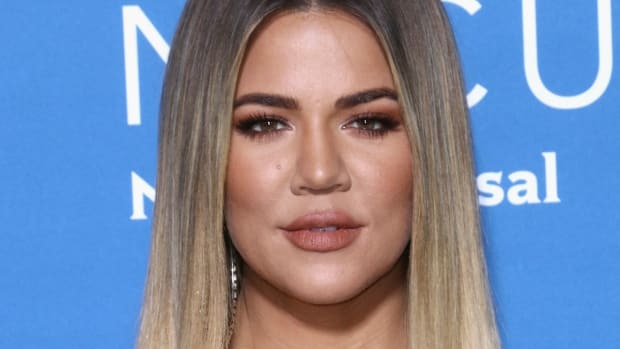 I&apos;m suggesting that she probably had at least one rhinoplasty surgery—which shouldn&apos;t surprise anyone, since it&apos;s basically become the norm in Hollywood. "In photos taken in Selena&apos;s younger years, her nose was a bit wider throughout, and had a slight bump at the tip," says Dr. Jeffrey Rawnsley. "In more recent photos, [her] nose is noticeably thinner along the bridge and nostrils, and that noticeable bump has magically disappeared." Plus, like dozens of young celebs of her generation, she&apos;s apparently been dabbling in lip fillers. "The most noticeable difference is the shape of the lips, specifically in the Cupid&apos;s bow," Dr. Adam Schaffner told Radar Online. "It appears to me that Selena had some fillers added to her lips," adds medical nurse practitioner Gaspar Rosario. "Her Vermillion border, or lip line, appears to be plumped and swollen. This is characteristic of a filler injection where the lip line is traced." I&apos;m with the experts—the pictures don&apos;t lie, and as we&apos;ve seen with Kylie Jenner, makeup alone just can&apos;t work this kind of magic! How do you feel about Selena&apos;s beauty evolution?